Arnold is an old lion: don’t bug him or he will bite you back! From the writer of Training Day and the director of End of Watch. The film is directed by David Ayer. 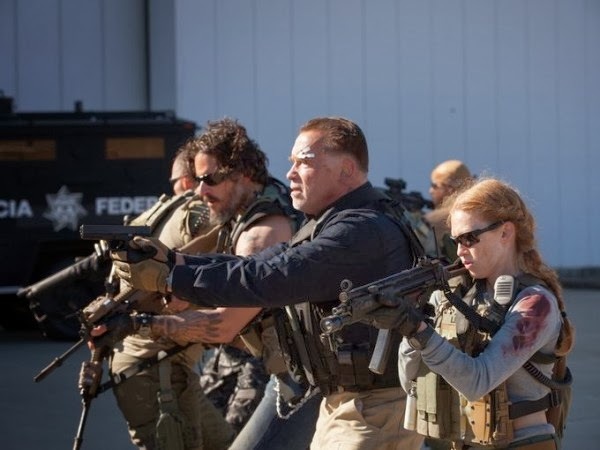 Besides Arnold Schwarzenegger, the cast also includes Olivia Williams, Mireille Enos, Sam Worthington, Harold Perrineau, Terrence Howard, Joe Manganiello, Max Martini, and Josh Holloway. 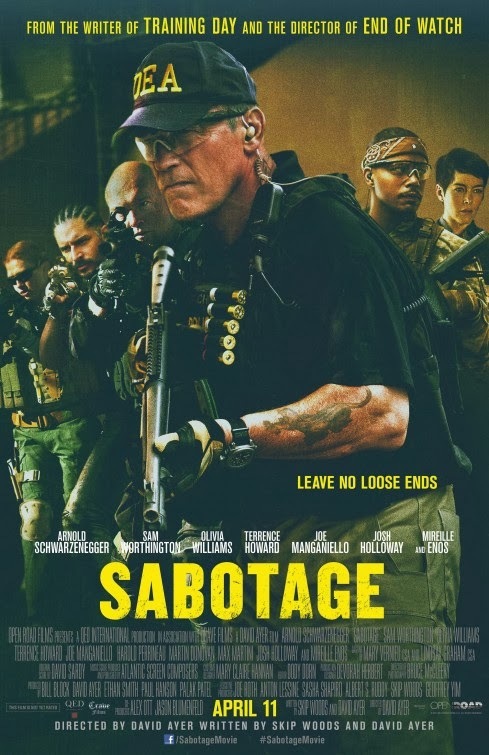 The movie Sabotage will hit theaters on April 11, 2014.